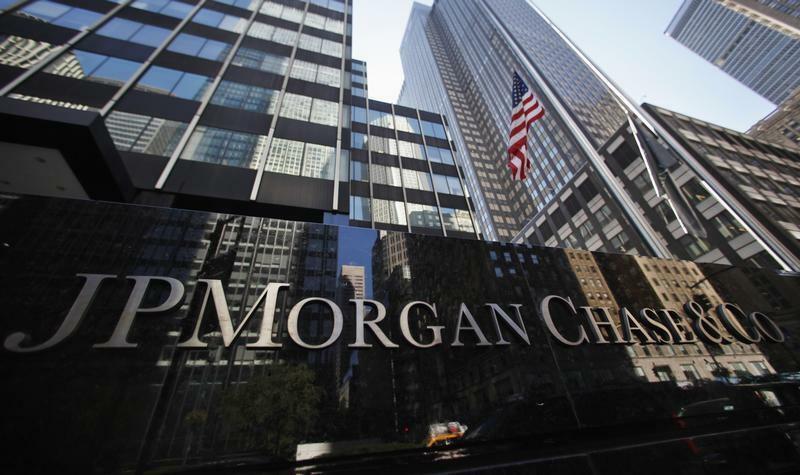 (Reuters) - JPMorgan Chase & Co (NYS:JPM) posted far weaker-than-expected quarterly profit as uncertainty about the U.S. economy weighed on investor trading volumes and consumer borrowing. Results from the first of the major Wall Street banks to post earnings underscore how difficult the first quarter was for the financial sector. JPMorgan's bond trading revenue plunged 21 percent, and mortgage lending revenue fell 84 percent from the same quarter last year. Most of the bank's big businesses, including commercial lending and credit cards, delivered lower profits. But the bank is not responding by dialling up its risk-taking in commercial lending, and it views falling revenue in its bond trading business as part of a business cycle instead of a symptom of a broad-based and lasting decline in fixed-income trading. "It's not like selling cereal - it's not like your volumes go up 2 percent every day," Chief Executive Jamie Dimon said to reporters on a conference call. The business will grow over the next decade or two, he added. Dimon, who earned plaudits for keeping his bank consistently profitable during the financial crisis, is struggling to figure out how to navigate the current environment. In his annual letter to shareholders earlier this week, Dimon noted that JPMorgan will have spent more than $2 billion (1.19 billion pounds) more than usual from 2012 through the end of this year on complying with new rules, and devoted more than 1 million work hours to meeting new mortgage rules. The bank's net income dropped 16 percent last year due to massive legal settlements and rising compliance costs. Friday's results showed how the bank's troubles appear to be extending beyond outsized legal settlements and meeting new rules, and into areas more fundamental to the business, such as loan demand and trading volume. Overall, net income fell 19 percent to $5.27 billion, or $1.28 per share, from $6.53 billion, or $1.59 per share, in the same quarter of 2013, the biggest U.S. bank said on Friday. JPMorgan's shares, which recently topped $61 to trade at their highest level in 13 years, were down 3.2 percent at $55.56 in mid-morning trading. One area where the bank is meeting with some success is keeping costs under control, a crucial effort when future revenues may be weak. JPMorgan said non-interest expenses fell 5 percent in the latest quarter to $14.6 billion. Dimon is aiming to hold down overhead - which he defines as non-interest expenses aside from litigation - to below an average of $14.75 billion per quarter, or $59 billion for the year. Mortgage banking net income fell to $114 million in the quarter, a drop of $559 million from the year-earlier period. Production revenue, a measure of lending revenue, fell 84 percent to $161 million, and the bank made $17 billion of home loans, a 68 percent decline from a year earlier. U.S. mortgage lending has cooled after rising rates in the second half of last year have given fewer homeowners reason to refinance their loans. Wells Fargo & Co, (NYS:WFC) the biggest U.S. home lender, also reported results Friday and said its income from mortgage banking fell 46 percent from a year earlier. Gains on one-time items, however, contributed to a higher-than expected 14 percent rise in quarterly profit for the company. For JPMorgan, rising bond yields in the middle of last year, which resulted from the Federal Reserve's decision to slow down its bond buying program, also weighed on fixed income, currency, and commodity trading revenue, which fell to $3.76 billion from $4.75 billion in the same quarter last year. Commercial banking income fell 3 percent to $578 million, hurt by declining revenue from making loans. Consumer credit and debit card income fell 1 percent to $1.35 billion. JPMorgan, the largest U.S. bank by assets, said total assets at the end of March stood at $2.48 trillion, up from $2.42 trillion at the end of December. The firm's supplementary leverage ratio, a measure of a bank's capital compared with its assets, stood at 5.1 percent at the end of the quarter. Leverage ratios took on added importance on Tuesday when the Federal Reserve approved new rules setting minimum levels that could force the eight biggest U.S. banks to boost their capital by a total of $68 billion. The rule sets a higher minimum of 6 percent for the company's insured bank subsidiary. Before the rule was approved in its latest form, JPMorgan had said it was on track to raise its ratio from 4.6 percent at the end of December to the 5 percent minimum for its holding company by the end of this year. JPMorgan said its litigation expenses were immaterial in the latest quarter, under its "other corporate" accounting line. Litigation expenses totalled $347 million in the year-earlier quarter and $847 million in the fourth-quarter. In the first quarter two years ago, litigation costs totalled $2.5 billion as the bank built up reserves in anticipation of big legal settlements that it ultimately reached in 2013. JPMorgan paid more than $20 billion last year to resolve legal claims stemming from a wide range of problems, including its London Whale derivatives loss and its marketing of bad mortgage securities before the financial crisis. JPMorgan's shares - which have nearly doubled in price since the bank was rocked in 2012 by its London Whale derivatives trading scandal and $6.2 billion loss - were trading at a multiple of 9.56 times estimated forward earnings on Thursday. That compares with 9.93 times for Goldman Sachs Group Inc (NYS:GS) and 11.38 times for Morgan Stanley (NYS:MS), both of which report next week.